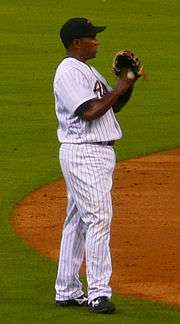 Miguel Odalis Tejada (born Tejeda, May 25, 1974) is a Dominican former professional baseball shortstop. Tejada played in Major League Baseball (MLB) for the Oakland Athletics, Baltimore Orioles, Houston Astros, San Diego Padres, San Francisco Giants and Kansas City Royals. Tejada spent his first six seasons in MLB with the Athletics, where he began a streak of 1,152 consecutive games that ended with the Orioles on June 22, 2007. He is a six-time All-Star and a two-time Silver Slugger Award winner. In 2002, he won the American League Most Valuable Player (MVP) Award, and he was the 2005 All-Star Game MVP. Tejada's nickname is "La Guagua", which means "the bus" in certain Spanish dialects, as Tejada was known for his ability to drive in runs. On February 11, 2009, he pleaded guilty to one count of perjury for lying to Congress in his testimony on whether or not Rafael Palmeiro lied about his steroid use. On August 17, 2013, Major League Baseball suspended Tejada for 105 games for violating the organization's drug policy. It was the third longest non-lifetime suspension ever issued by MLB for a drug-related violation. 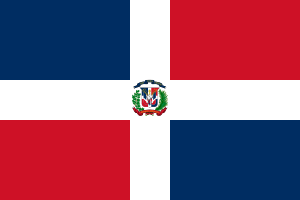 Tejada grew up in extreme poverty in Baní, a city approximately 40 miles (65 km) southwest of Santo Domingo, capital of the Dominican Republic. He grew up idolizing the Baltimore Orioles shortstop Cal Ripken Jr. Tejada's rise from the slums of Baní through the minors and into the Major Leagues is chronicled in the book Away Games: The Life and Times of a Latin Ballplayer by Marcos Breton and Jose Luis Villegas. Away Games describes the struggles of Dominican players in general and Tejada in particular as they arrive in the U.S. speaking very little English often in small towns playing for minor league teams with dreams of making it big. Tejada developed quickly into a top-notch prospect, showing early signs of power. He reached the Majors towards the end of the 1997 season, joining a struggling Oakland Athletics club. Though he only hit .202 in 26 games that year, the A's saw potential in the 23-year-old Tejada. This was bolstered by his performance with the Edmonton Trappers (AAA) in the Pacific Coast League during the season, and returning to the minors to lead the Trappers to a PCL championship that year. He was rewarded with the starting shortstop job beginning in 1998. The A's, and Tejada, steadily improved over the next two years. His hitting improved as he gained more discipline at the plate. In 1998, he hit .233 with 11 home runs and in 1999 his average jumped to .251 with 21 home runs. After a solid 87-win campaign in 1999, Tejada and a core of young players led their A's to their first American League Western Division title in eight years in 2000. Bolstered by an American League MVP-winning performance by first baseman Jason Giambi, and aided by Tejada's .275 average and 30 home runs, the A's won 91 games. The A's faced the New York Yankees in the first round of the postseason, which was won by the Yankees 3-2. In 2001, Tejada had a comparable offensive year, hitting .267 with 31 homers. The A's captured the American League wild card with a 102-60 record. In the postseason, however, the A's fell to the Yankees in five games, blowing an initial 2-0 series lead. Tejada's breakout year came in 2002. With the departure of Jason Giambi to the New York Yankees during the offseason, and a leg injury to slugger Jermaine Dye, the A's lost two of their key offensive players. Tejada hit .308 with 34 homers and led the A's to their second Western Division title in three years. Their campaign included an American League record 20 game winning-streak. Tejada contributed one-out, game-winning hits in the 18th and 19th games of that run: a three-run homer off Minnesota Twins closer Eddie Guardado for a 7-5 victory and a bases-loaded single against Kansas City Royals reliever Jason Grimsley to break a 6-6 tie. Tejada also showed modest speed on the basepaths with 18 steals over a two-year stretch. His performance was rewarded with the 2002 American League MVP award. For the third straight year, though, the A's fell in the fifth game of the ALDS, this time to the Minnesota Twins. The next year, both the A's and Tejada got off to a slow start, with the shortstop hitting under .200 for the first month of the season. Improved play in the second half of the season led the A's to their second straight Western Division title and their third in four years. Tejada hit .278 with 27 homers for the year, a decrease from his numbers in 2002, but still leading many offensive categories for shortstops. In a tension-filled series, the powerful offense of the Boston Red Sox narrowly edged out the A's in the first round, once again in five games. Tejada was known for his public display of anger toward Boston starting pitcher Derek Lowe at the series' conclusion for what he perceived as obscene gestures. Lowe denied the accusation, claiming his fist pump was in celebration only. By the end of the 2003 season, Tejada had established himself as one of baseball's premier shortstops. The A's elected not to re-sign the free agent, citing budget concerns and a young Bobby Crosby coming through the system, so Tejada signed a six-year, $72 million deal with the Baltimore Orioles during the offseason. On arrival in Baltimore, Tejada was given uniform number 10, since 4, his number in Oakland, had been retired for former manager Earl Weaver. As an Oriole, Tejada followed in the footsteps of legendary Baltimore shortstop Cal Ripken Jr.. Like Ripken, Tejada was a strong and durable shortstop with unusual power numbers for a middle infielder. On July 12, 2004, Tejada won the Century 21 Home Run Derby in Houston. Tejada hit a (then) record 27 home runs in the contest, including a record 15 homers in the second round. He defeated Houston Astros outfielder Lance Berkman (who would later become his teammate) 5-4 in the final round of the contest. Both records were broken the following year in Detroit by Bobby Abreu. Tejada led the league with 150 RBI in 2004. While Tejada did not participate in the Home Run Derby in 2005, he was an All-Star and starter for the AL. In his first All-Star start, Tejada hit a solo home run against John Smoltz of the Atlanta Braves, had a sacrifice RBI and was part of an all-Oriole double play with teammate Brian Roberts. His efforts earned him the All-Star MVP, winning a Chevrolet Corvette. On December 8, 2005, it was widely reported by the Associated Press that Tejada asked the Orioles for a trade, citing unhappiness with the team's direction. Tejada challenged those statements in an interview with Comcast Sportsnet's Kelli Johnson, saying he only asked for a better team, referring to his hope that the Baltimore Orioles would improve after their eighth straight losing season. Several weeks later, Tejada reiterated his complaints with the Orioles' lack of action and demanded to be traded. Tejada stated that he wants a "good group that helps me to win" and commented briefly on his alleged non-involvement in Palmeiro's steroid scandal. On January 7, 2006, Tejada stated his intent to remain with Baltimore for "the rest of [his] career." This statement was made to Orioles Vice President Jim Duquette in a meeting arranged by mutual friend and teammate Melvin Mora. It was reported that Tejada was claimed by the Chicago White Sox off trade waivers, but the two teams did not make a deal for Tejada. Tejada played in his 1,000th consecutive game on July 1, 2006. Tejada's streak was at 1,151 games when he was hit on his left wrist by a pitch on June 20, 2007. The next day, he went up to bunt in the top of the first inning, bunted into a force play, and was replaced by a pinch runner. Following that game, it was announced that he had a broken wrist. On June 22 he was placed on the disabled list, ending his streak at 1,152 consecutive games, the fifth longest in Major League history, behind Cal Ripken, Jr. (2,632), Lou Gehrig (2,130), Everett Scott (1,307), and Steve Garvey (1,217). On December 12, 2007, Tejada was dealt to the Houston Astros for five players, including SP Troy Patton, OF Luke Scott, RP Dennis Sarfate and RP/SP Matt Albers. Tejada scored his 1,000th career run on July 7, 2008, at PNC Park. In the 2008 All-Star Game Tejada singled leading off the top of the eighth stole second with one out and advanced to third on a throwing error and scored on Padres' first baseman Adrian Gonzalez"s sacrifice fly. In the 2008 season he grounded into 32 double plays, the most in the major leagues. In 2009, he again led the majors in grounding into double plays, this time with 29. On January 23, 2010, Tejada agreed to a one-year deal worth $6 million with the Orioles. On July 29, the Orioles traded Tejada to the San Diego Padres for minor league pitcher Wynn Pelzer. On September 22, Tejada hit his 300th career home run off Ted Lilly of the Los Angeles Dodgers. Tejada signed a one-year, $6.5 million, contract with the San Francisco Giants. He was designated for assignment on August 31, 2011 after batting .239 with four home runs and 26 RBIs in 91 games. He was released on September 8, 2011. On May 6, 2012, Tejada reached an agreement on a contract with the Orioles. He failed to make the Major League club's roster however, and played for their Triple-A affiliate Norfolk team until requesting his outright release, which was granted on June 25, 2012. On December 31, 2012, Tejada signed a minor league contract with the Kansas City Royals. According to the Associated Press, he will earn $1.1 million plus performance incentives worth an additional $400,000 if he makes the Royals Major League 40-man roster for 2013. On August 17, 2013, Tejada received a 105-game suspension from Major League Baseball following two positive drug tests for amphetamines. Tejada claimed to have been in the process of re-applying for a therapeutic use exemption as he used the drug to treat a medical condition, but he chose not to appeal the decision. Due to a calf injury suffered prior to the ban, Tejada was not likely to play in the remaining 41 games of the 2013 season anyway, though they will count toward his suspension. He will not be allowed to play in the first 64 games of the 2014 season. On May 16, 2014, Tejada signed a minor league contract with the Miami Marlins. Tejada was required to serve the remaining 64 games left on his suspension before being available to be called up by the Marlins. On August 2, Tejada was released by the Marlins. On September 22, 2005, ESPN reported that Rafael Palmeiro, who had tested positive for steroids and was suspended for 10 games under Major League Baseball's steroid policy, implicated Tejada to baseball's arbitration panel, suggesting that a supplement given to him by Tejada was responsible for the steroid entering his system. Tejada has denied the allegations, saying that the only thing he gave Palmeiro was vitamin B-12, a completely legal substance under current MLB policy. On September 24, 2005, the Baltimore Sun reported that "The Health Policy Advisory Committee, which oversees baseball's testing policy, issued a statement that exonerated Tejada and chastised the media for reporting that he might have distributed steroids to another player." In José Canseco's 2005 book, Juiced: Wild Times, Rampant 'Roids, Smash Hits & How Baseball Got Big, he mentions that he believes Tejada might have taken steroids. He claims to have spoken to him about them and the next season seeing him at spring training looking more defined. He never claims to have injected him with them, like he did with Palmeiro, McGwire and other ballplayers. On September 30, 2006 the Los Angeles Times reported that former relief pitcher Jason Grimsley, during a June 6, 2006 federal raid, told federal agents investigating steroids in baseball named Tejada as a user of "anabolic steroids." The Times reported that Tejada was one of five names blacked out in an affidavit filed in federal court. However, on October 3, 2006, the Washington Post reported that San Francisco United States attorney Kevin Ryan said that the Los Angeles Times report contained "significant inaccuracies." Tejada, along with the other four players named, has denounced the story. On December 13, 2007, Tejada was mentioned in the Mitchell Report in connection to steroids. In the report, Tejada is said to have received $1,500 worth of steroids. A report surfaced on January 15, 2008 stating that Rep. Henry Waxman had asked the Justice Department to investigate whether Tejada was truthful when speaking to the House committee when being interviewed in 2005 regarding possible connections to Rafael Palmeiro. On February 10, 2009, Tejada was charged with lying to Congress about performance-enhancing drug usage in Major League Baseball. On February 11, Tejada pleaded guilty to charges that he lied to Congress in 2005. He faced up to one year in federal prison and deportation. On March 26, 2009, he received a one-year probation. On August 17, 2013, Tejada was suspended 105 games for testing positive twice for amphetamines, specifically the prescription medication adderall. Tejada claimed he had medical permission from MLB to use the drug to treat ADD, but it expired on April 15, 2013, and he continued to use it without gaining a new permission from MLB. The suspension was the third-longest non-lifetime ban issued by MLB for a drug violation. On April 17, 2008, Tejada was confronted by an ESPN reporter during a sit-down interview with documentation revealing that Tejada had been lying about his age ever since he first signed a Major League Baseball contract in 1993. Tejada had claimed to have been born in 1976 when a Dominican birth certificate showed that he was born in 1974 as "Miguel Tejeda." He struggled to take off his microphone and kept questioning who the interviewer was referring to. Tejada stormed off the set, ending the interview. Before the interview was aired in April 22, 2008, he acknowledged this fact. Tejada has a chicken farm in Florida where he lives with his wife, Alejandra, his daughter, Alexa, and his son, Miguel Jr.
On August 20, 2015, Reorg Research reported that Tejada had filed for bankruptcy. 1 2 3 "ESPN – Why questions about age, name could pose problems for Tejada – MLB". Sports.espn.go.com. 2008-04-22. Retrieved 2013-08-17. 1 2 "Tejada two years older than Astros thought". Chron.com. 2008-04-17. Retrieved 2013-08-17. ↑ Schmidt, Michael S. (February 11, 2009). "The Tumult Continues: Tejada Pleads Guilty". The New York Times. Retrieved February 12, 2009. 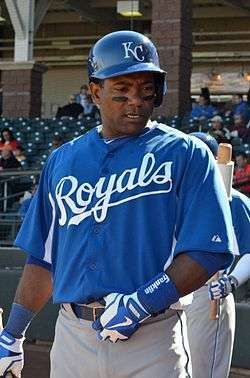 1 2 "Royals’ Miguel Tejada suspended 105 games by MLB for amphetamines". Kansas City Star. Retrieved 8-17-2013. ↑ "Miguel Tejada Suspended Again, was Rafael Palmerio Telling the Truth About PED Use?". ↑ "Tejada Looks to Build on Ripken Legacy". Washingtonpost.com. 2004-02-24. Retrieved 2013-08-17. ↑ "page for Away Games". Amazon.com. Retrieved 2013-08-17. ↑ Christensen, Joe; Kubatko, Roch (April 7, 2004). "Tejada, Lowe say ALDS feud is in past". Balimore Sun. Retrieved May 18, 2014. ↑ "AL: A's irate about Lowe's gesture". St. Petersburg Times. October 7, 2003. Retrieved May 18, 2014. ↑ Antonen, Mel (July 12, 2004). "Tejada blasts way to victory in Derby". USA Today. Retrieved April 9, 2016. ↑ Fordin, Spencer (June 22, 2007). "Streak over: Tejada placed on DL". MLB.com. Retrieved July 28, 2007. ↑ "Tejada traded to Astros, Orioles to receive five players for former AL MVP". SI.com. December 12, 2007. Archived from the original on December 14, 2007. Retrieved December 12, 2007. ↑ "2008 Major League Baseball PH/HR/Situ Hitting". Baseball-Reference.com. Retrieved 2012-09-21. ↑ ""MLB Player Batting Stats – 2009", ''ESPN'', accessed October 9, 2009". Espn.go.com. Retrieved 2013-08-17. ↑ Zrebiec, Jeff (January 23, 2010). "Orioles to bring back Tejada". Baltimore Sun. Retrieved May 18, 2014. ↑ Roch Kubatko View Comments (2010-07-29). "School of Roch: Tejada deal now official (update)". Masnsports.com. Retrieved 2012-09-21. ↑ "Padres fortify infield by acquiring Tejada | MLB.com: News". Mlb.mlb.com. Retrieved 2012-09-21. ↑ "Tejada thrilled to join world champion Giants | SFGiants.com: News". Sanfrancisco.giants.mlb.com. 2012-06-19. Retrieved 2012-09-21. ↑ Bonesteel, Matt (September 1, 2011). "Stats, scores and schedules". The Washington Post. ↑ "Giants Release Pair of Veterans". Espn.go.com. 2011-09-08. Retrieved 2013-08-17. 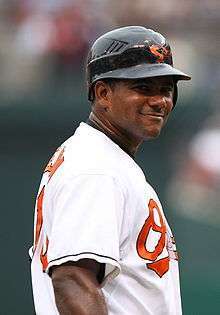 ↑ "Baltimore Orioles invite Miguel Tejada work out at spring camp – ESPN". Espn.go.com. 2012-05-04. Retrieved 2012-09-21. ↑ Snyder, Matt (2012-05-06). "Miguel Tejada has agreed to deal with Orioles". CBSSports. Retrieved 2012-09-21. 1 2 Cassavell, AJ (31 December 2012). "Royals sign Tejada, Endy to Minor League deals". MLB.com via KC Royals official team website. Retrieved 1 January 2013. ↑ Rojas, Enrique (May 17, 2014). "Miguel Tejada headed to minors". ESPN.com. Retrieved May 18, 2014. ↑ "Palmeiro named Tejada before panel". ESPN. September 23, 2005. Retrieved October 4, 2006. ↑ "Topic Galleries". baltimoresun.com. Retrieved 2013-08-17. ↑ Pugmire, Lance (October 1, 2006). "Clemens Is Named in Drug Affidavit". Los Angeles Times. Retrieved May 17, 2014. 1 2 "U.S. Attorney Says Report Alleging Drug Use Contains 'Inaccuracies'". Washington Post. October 3, 2006. p. E02. Retrieved October 4, 2006. ↑ Peter Grier (2008-01-16). "Pro baseball is urged to keep focus on antidrug policies". csmonitor.com. Retrieved 2013-08-17. ↑ "MLB star Tejada pleads guilty to lying about steroids". Taipei Times. February 13, 2009. Archived from the original on August 19, 2009. Retrieved August 19, 2009. ↑ O'Keeffe, Michael; Red, Christian; Vinton, Nathaniel; Thompson, Teri (February 11, 2009). "Miguel Tejada pleads guilty to charges that he lied to Congress". Daily News. New York. ↑ "Miguel Tejada suspended 105 games". ESPN. Retrieved 17 August 2013. ↑ "Miguel Tejada suspended 105 games". ESPN. August 17, 2013. Retrieved August 17, 2013. ↑ "Tejada admits to being two years older". Sports.espn.go.com. 2008-04-18. Retrieved 2013-08-17. ↑ Kilgore, Adam (July 13, 2005). "Orioles' Tejada turns on MVP power". Boston Globe. Retrieved May 18, 2014. (subscription required (help)). Wikimedia Commons has media related to Miguel Tejada.